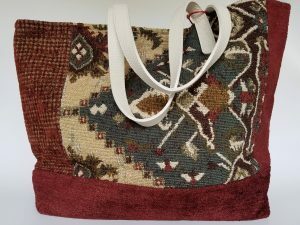 This beautiful tapestry women’s handbag features a velvet flap with a nostalgic, faded, old-tapestry-inspired design. 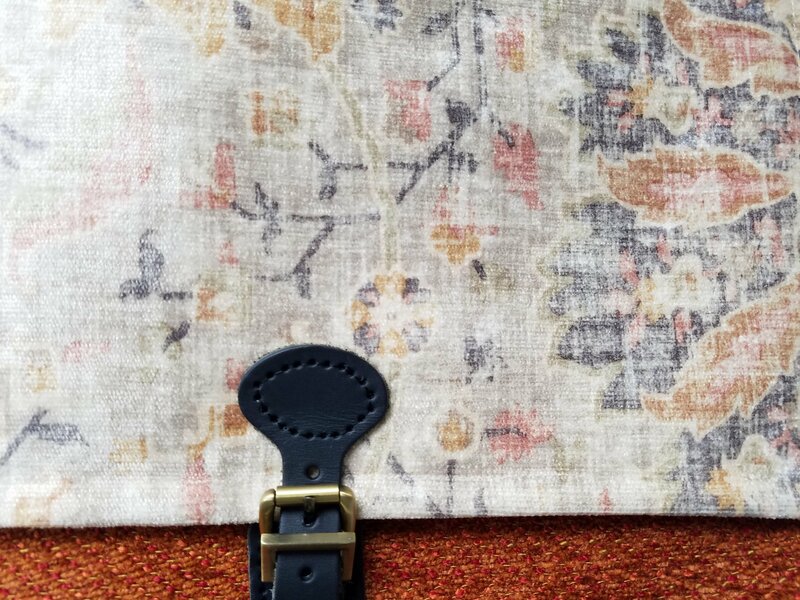 The beige/cream flap has a floral pattern in faded mustard, orange and black. It has a bright orange underside. 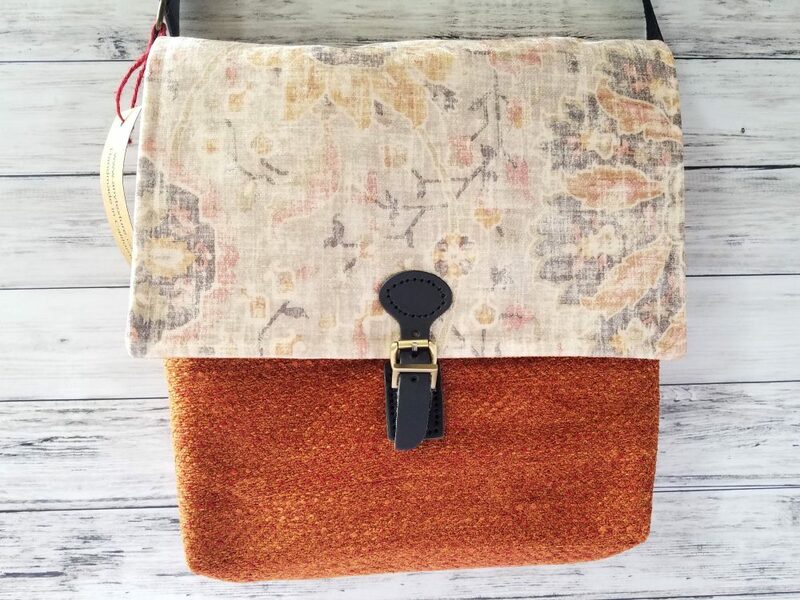 I tried to bring the colors of the flap out by giving the bag a bold rusted-orange colored body. 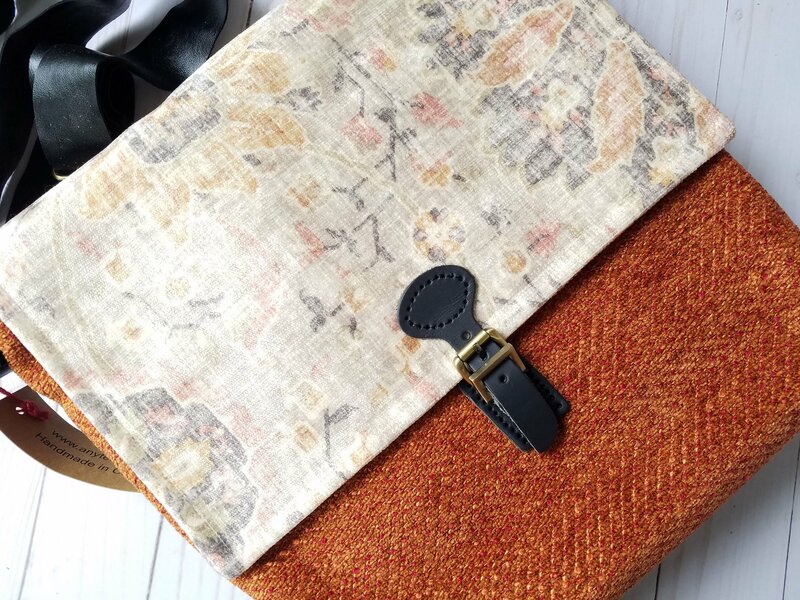 The bag has an adjustable black strap made of very soft leather. 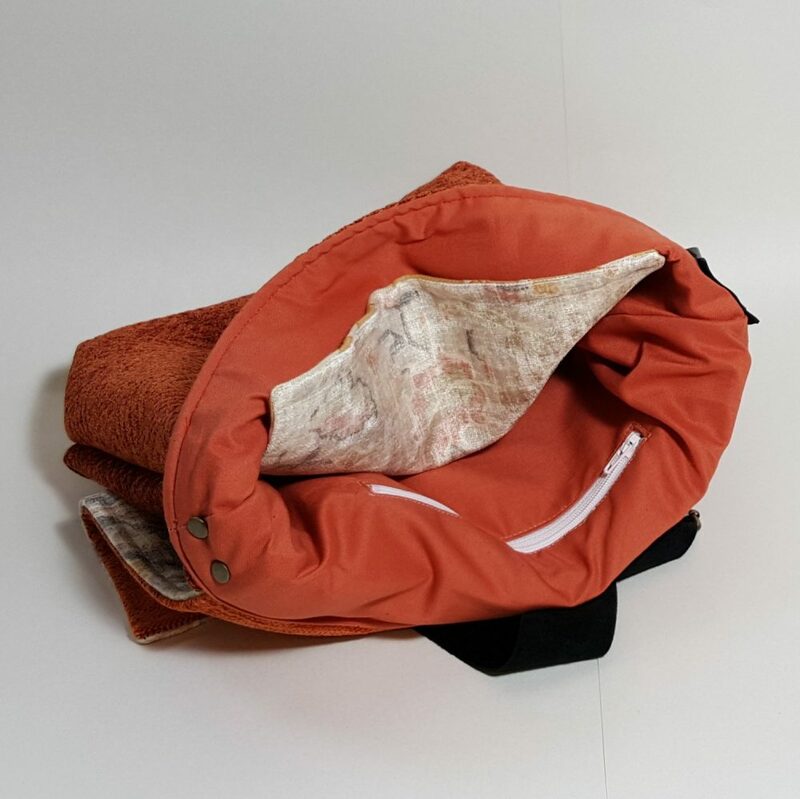 It is lined with a solid quilting-quality orange cotton. 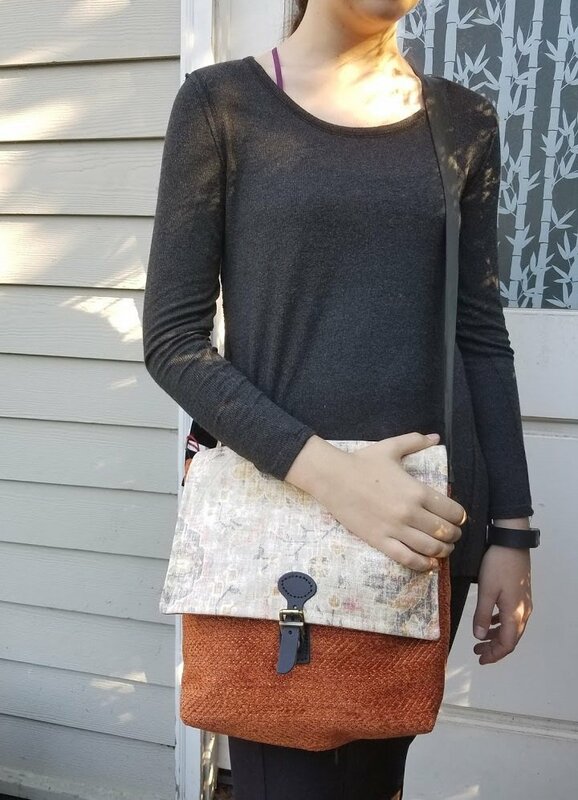 – The bag is 9.5" wide and 10.5" tall. It is 3" deep. 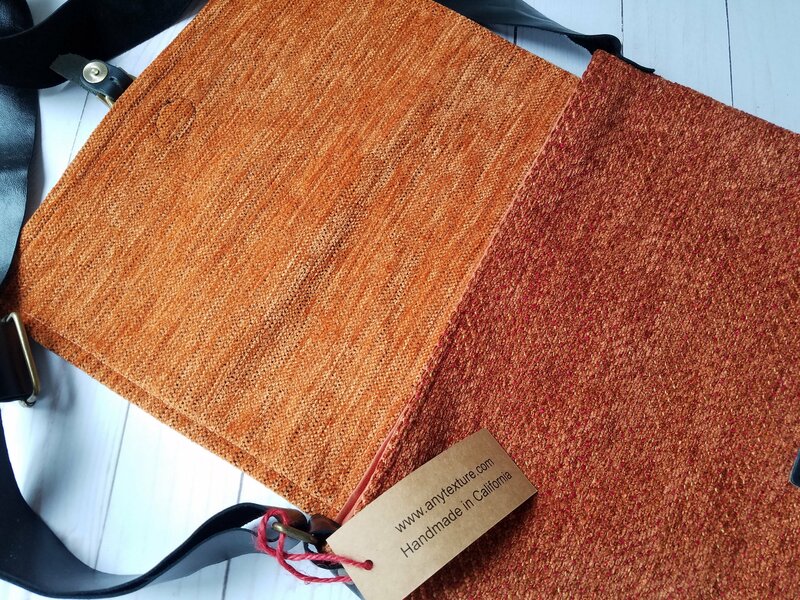 – The body of the bag is a solid rusted-orange fabric. 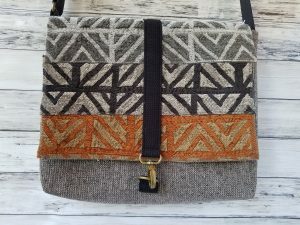 – The rectangular velveteen flap has a faded-tapestry pattern. – The flap is adorned with a black leather faux buckle closure that is actually a magnetic snap. 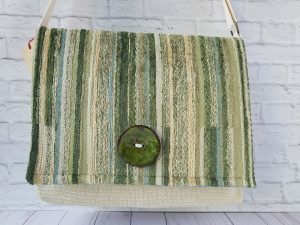 – Light interfacing inside gives this purse a soft, slouchy feel. 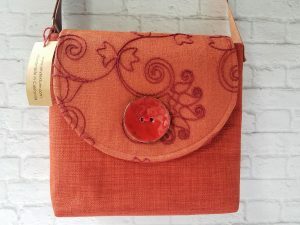 – Lined with an orange cotton fabric. 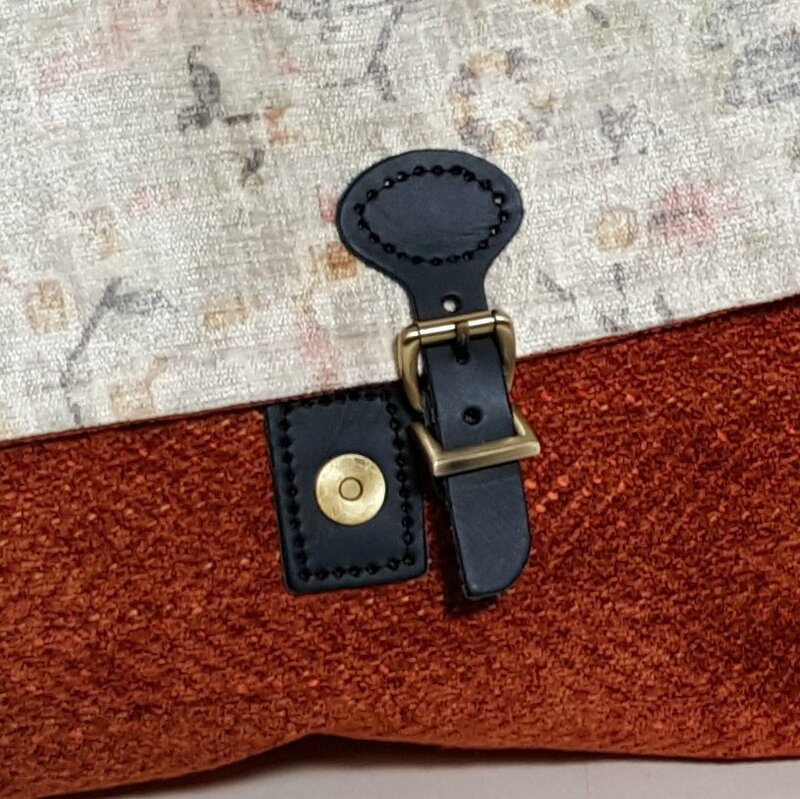 – Inside, the bag has a large zipper pocket and a large regular pocket for holding keys or cell phones. – Soft black leather strap that is adjustable.